If you don’t want any spoilers, you can start reading VINCE here. 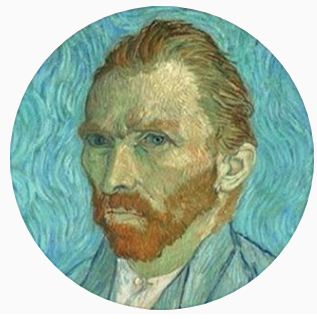 I started this WordPress blog in February, 2017, when I began writing the story of Vincent Willem van Gogh. Yes, he’s the one who cut off his ear and gifted to his friend. Yes, he was a crazy man. I decided to upload it bit by bit instead of publishing it. I upload the story, VINCE, every Thursday between 5.00 p.m. and 6.00 p.m. If you decide to follow, you’ll receive the posts I make via e-mail. In numbers, there are 1.6k subscribers on WordPress, 1.6k on Tumblr and 6.7k on Instagram steadily growing. I haven’t done any marketing or ads. I hope he knows how much he’s loved in heaven. Story of a self-taught painter constructed based on Vincent (Willem) van Gogh from 19th Century Europe. Vince has issue dealing with spasmodic emotion. Top it off with material and psychological imbalance. From gutter-poor to famed-on-the-walls around the globe, he paints to become the Maestro at Painters Fantasia. He has the self-confidence, but overcoming his neighbor-nemesis Paul Gauguin is another story. Takes place in fixed locations. There’s a house where all things happen, the main stage. While reading. What characters say will constantly clash with personal norms and the general values, the standards, set by the society. Especially if you are a person of foundation. So, sword with sentences. VINCE is heavily all about it. A lot of reference to the paintings. The Starry Night is coming up soon; so are the Sunflowers series topped with The Almond Blossom. The landscapes and the portraits are focused during his stay in Arles, 1888-1889 (The Yellow House period shared with Paul Gauguin). If I haven’t lost you yet, you can start reading here. I will work on two posts for a week and hopefully, three times a week in the near future. How this whole thing began?Find out here.